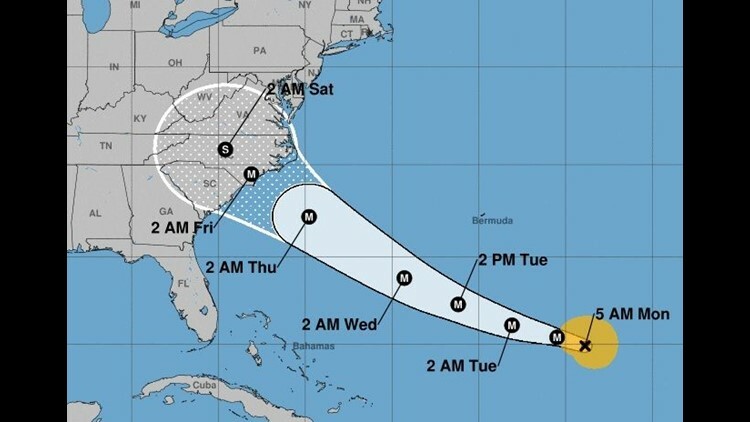 This map shows the projected path for Hurricane Florence as issued by the National Hurricane Center on Sept. 10, 2018. 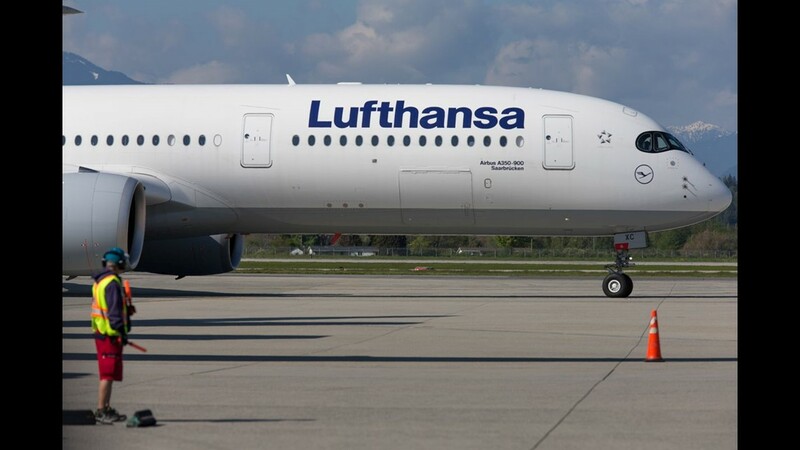 Lufthansa's Airbus A350-900 taxis to a gate after its first landing in Vancouver, Canada, on May 1, 2018. 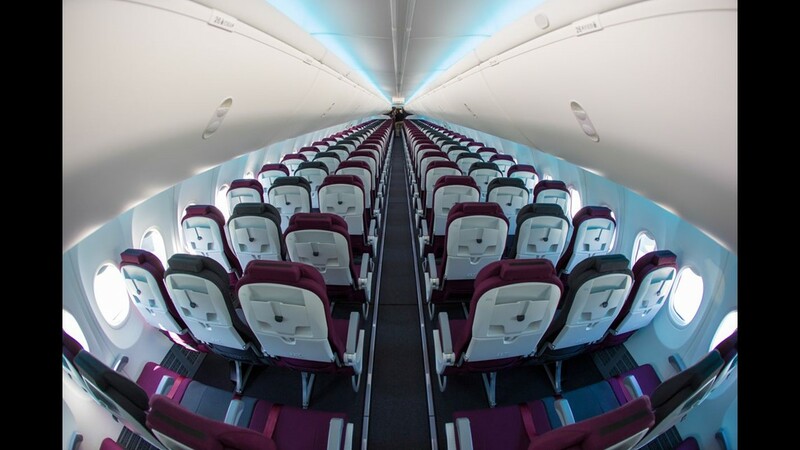 The economy cabin aboard Air Italy's first Boeing 737 MAX, seen at a delivery ceremony in Everett, Wash., on May 11, 2018. 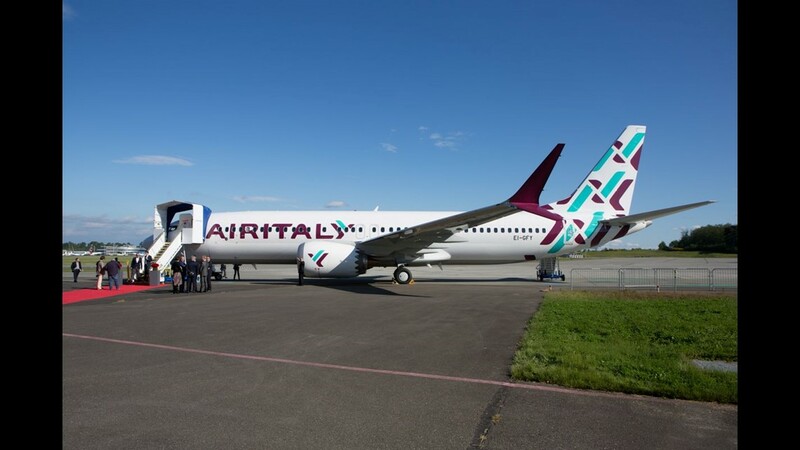 Air Italy's first Boeing 737 MAX, seen at its delivery ceremony in Everett, Wash., on May 11, 2018. 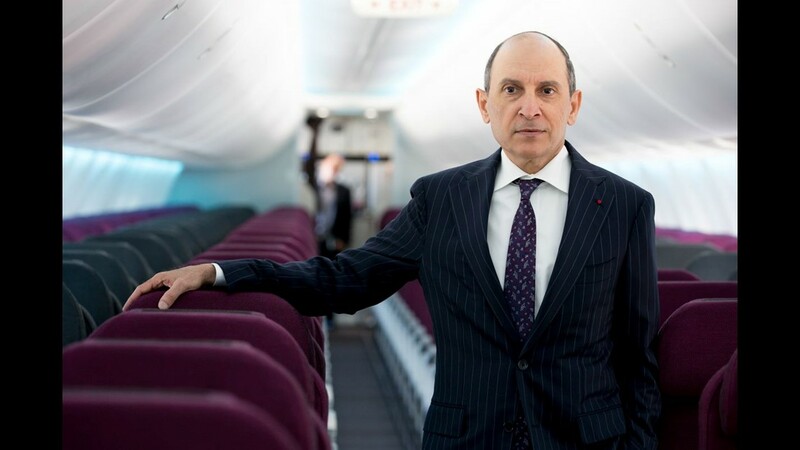 Qatar Airways CEO poses for a photo aboard Air Italy's first Boeing 737 MAX at a delivery ceremony in Everett, Wash., on May 11, 2018. 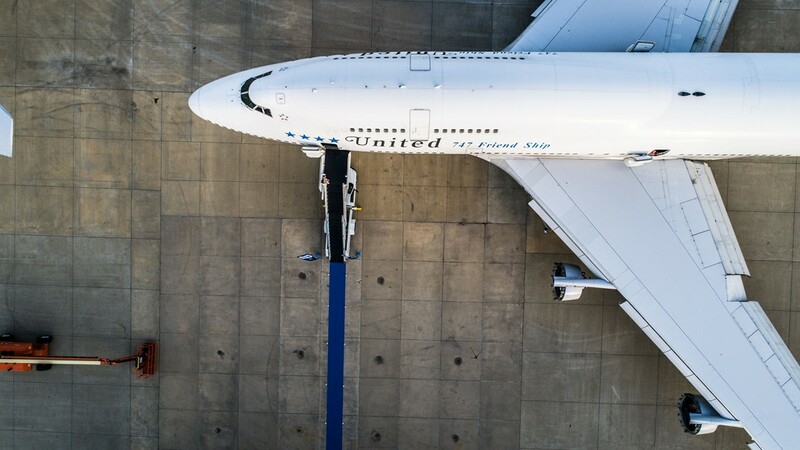 United's last-ever Boeing 747 to be used for revenue passenger service is seen at the Universal Asset Management (UAM) Aircraft Disassembly Center in Tupelo, Miss., on June 2, 2018. 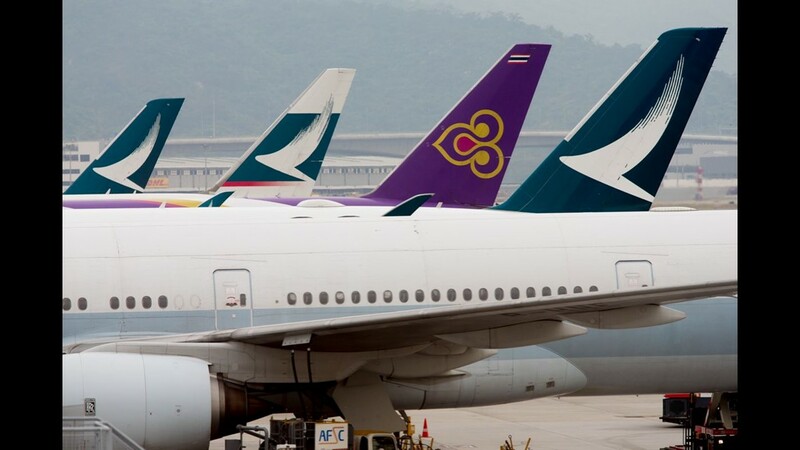 A Thai Airways tail breaks up a line of Cathay Pacific jets at Hong Kong International Airport on April 18, 2018. Spectators snap cell photos of British Airways' Airbus A380 as it lands at Vancouver International Airport in Canada on May 1, 2018. 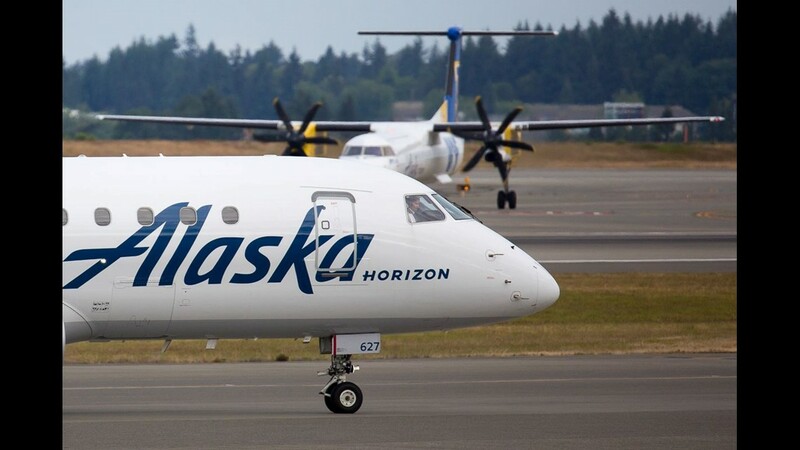 An Alaska Airlines/Horizon Air Embraer E170 jet passes a company Bombardier Q400 at Seattle-Tacoma International Airport on June 3, 2018. 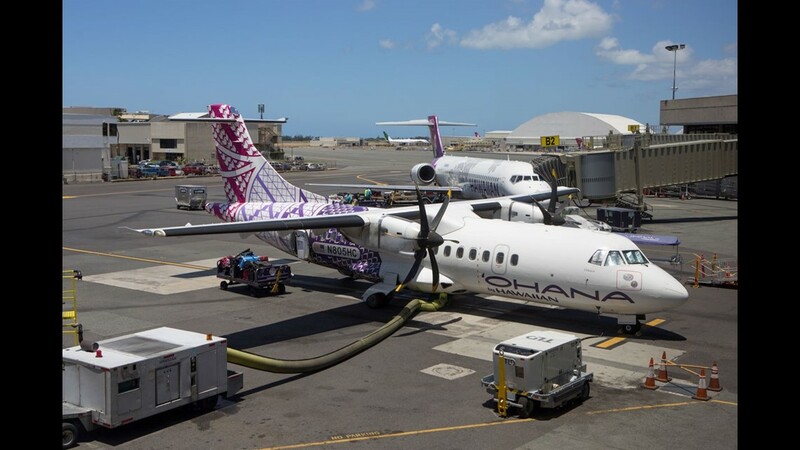 An Ohana ATR turboprop awaits its next load of passengers in warm Honolulu on June 3, 2018. 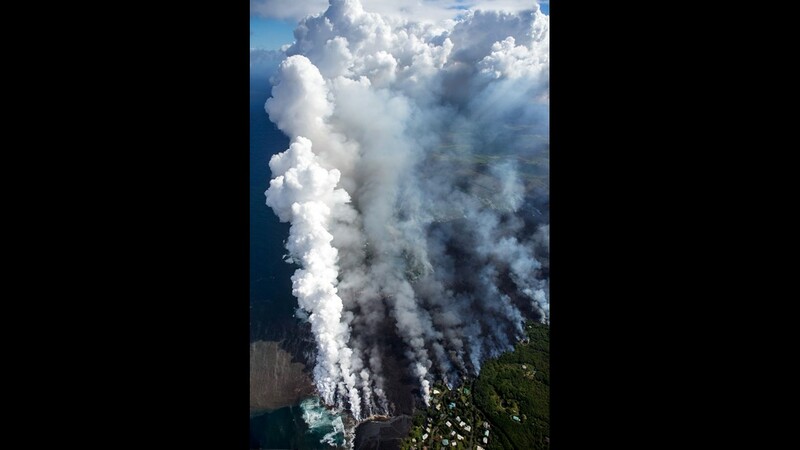 Smoke and laze gather in towering columns above Kapoho Bay on the Big Island of Hawaii as lava flows into the ocean from the Kilauea eruption on June 4, 2018, as seen from a Paradise Helicopter over the site. 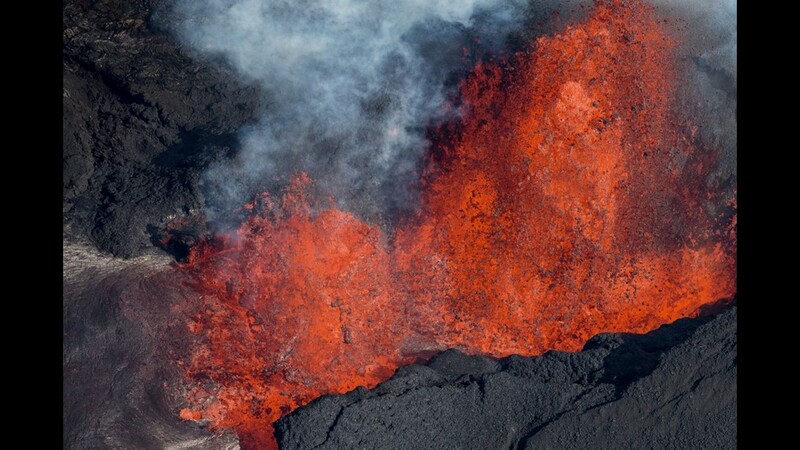 A fountain of lava 25 stories talls gushes out of a fissure during the Kilauea volcanic eruption on June 4, 2018, on Hawaii's Big Island as seen from a Paradise Helicopter over the site. 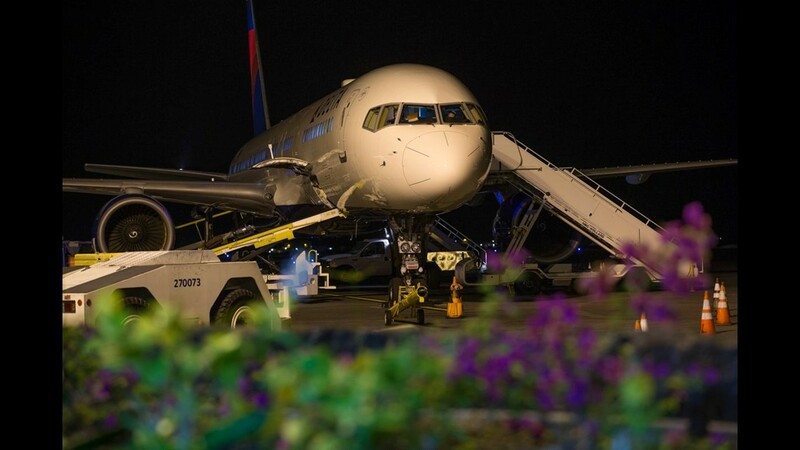 A Delta Air Lines Boeing 757 boards at Kona International Airport on June 4, 2018. 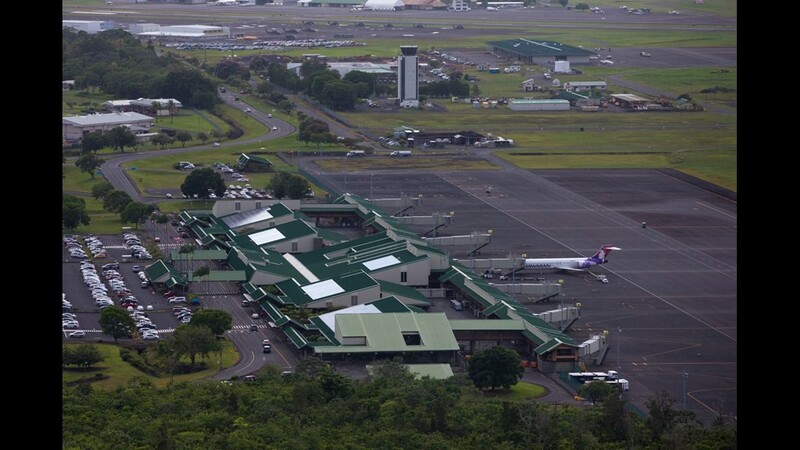 A lone Hawaiian Airlines Boeing 717 holds down the ramp at Hilo International Airport on June 4, 2018, on the Big Island in Hawaii. 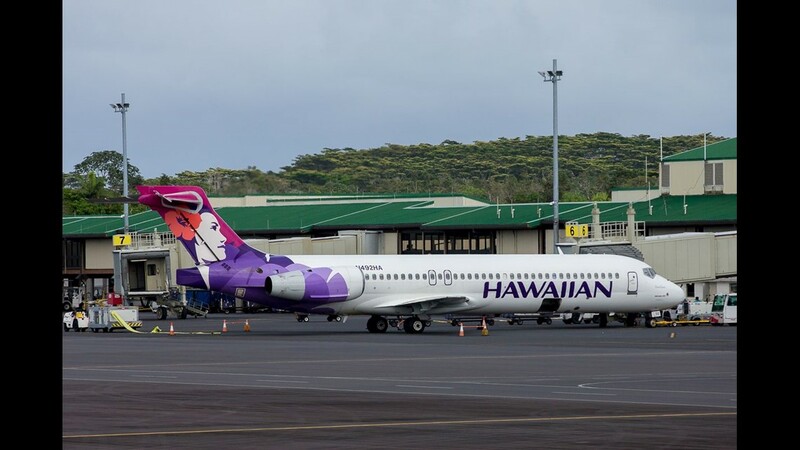 A Hawaiian Airlines Boeing 717 boards for its flight back to Honolulu from Hilo International Airport in Hawaii on June 4, 2018. 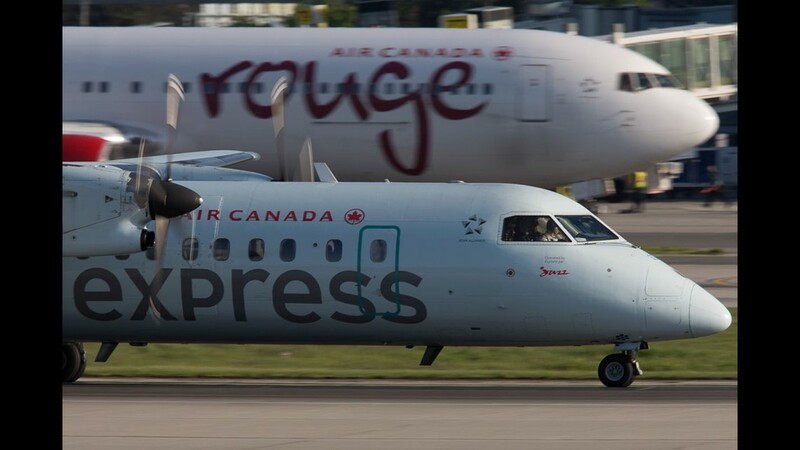 An Air Canada Express Dash 8 lands at Vancouver International Airport in Canada on May 1, 2018. A China Airlines Boeing 747 pulls into a gate at Taipei-Taoyuan International Airport on April 18, 2018. 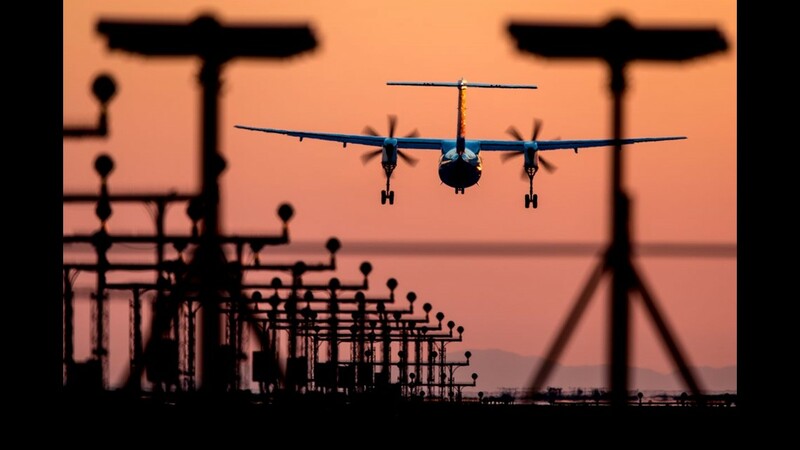 An Air Canada Express Dash 8 lands at Vancouver International Airport in Vancouver, Canada, on May 1, 2018. 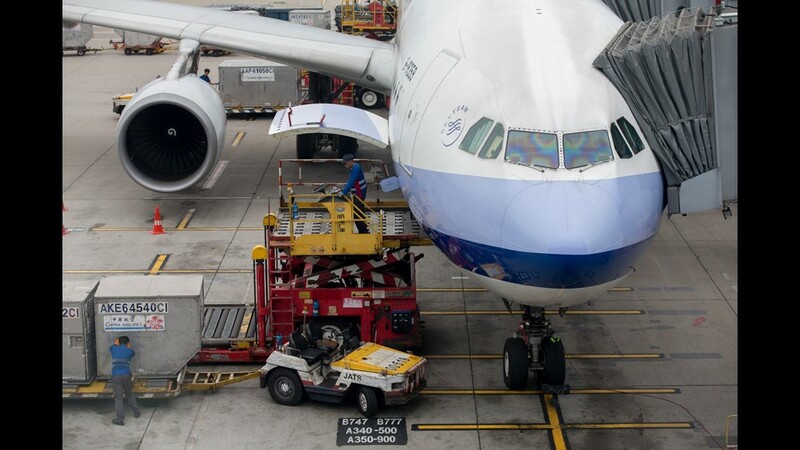 Workers load a China Airlines Airbus A330 at Hong Kong International Airport on April 18, 2018. 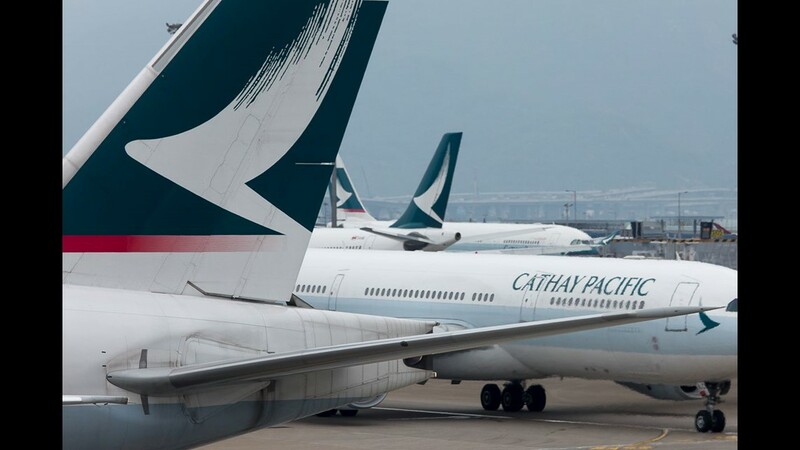 Cathay Pacific jets occupy the ramp at Hong Kong International Airport on April 18, 2018. 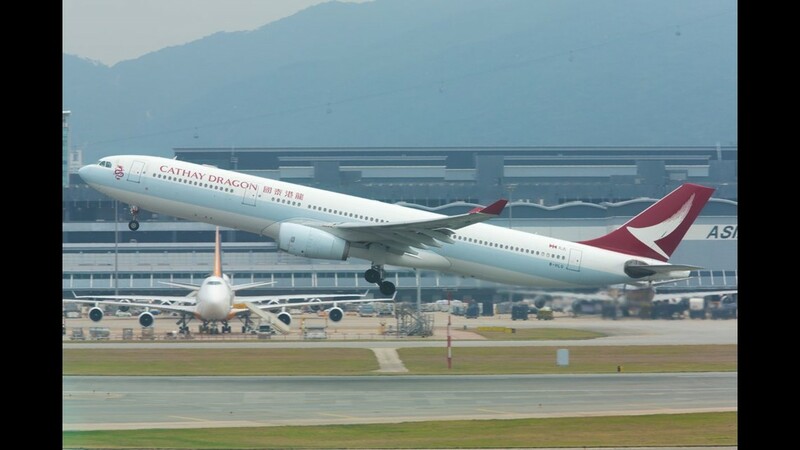 A Cathay Dragon Airbus A330 takes off from Hong Kong International Airport on April 18, 2018. 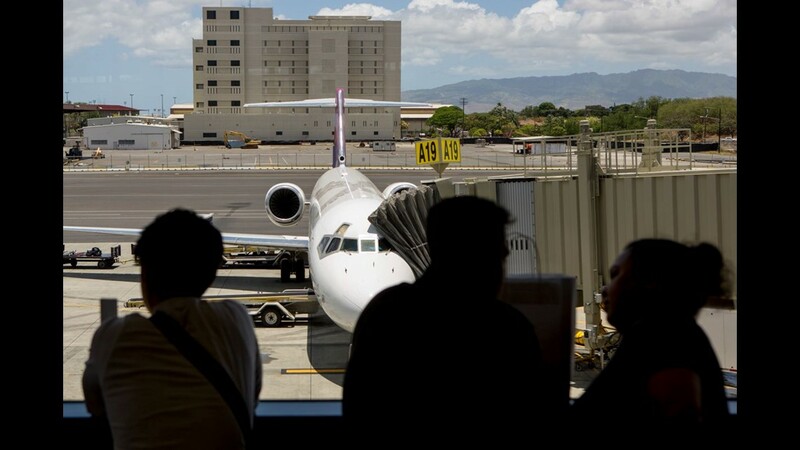 Passengers gather for a Hawaiian Airlines flight from Honolulu to Kona on June 3, 2018. 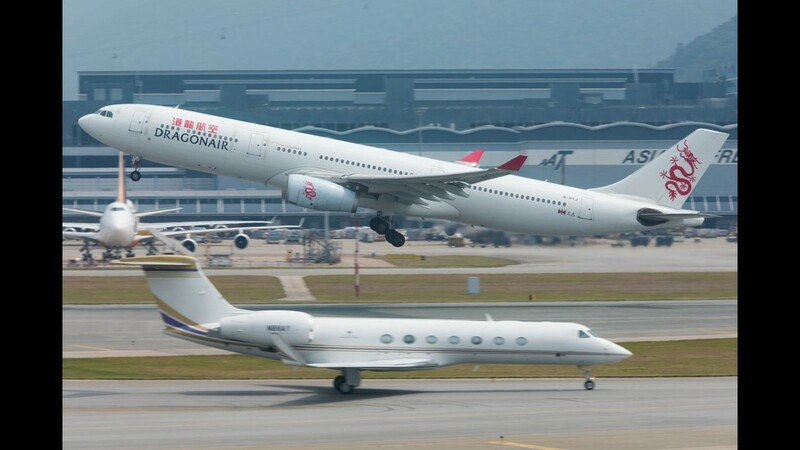 A Dragonair Airbus A330 takes off from Hong Kong International Airport on April 18, 2018. 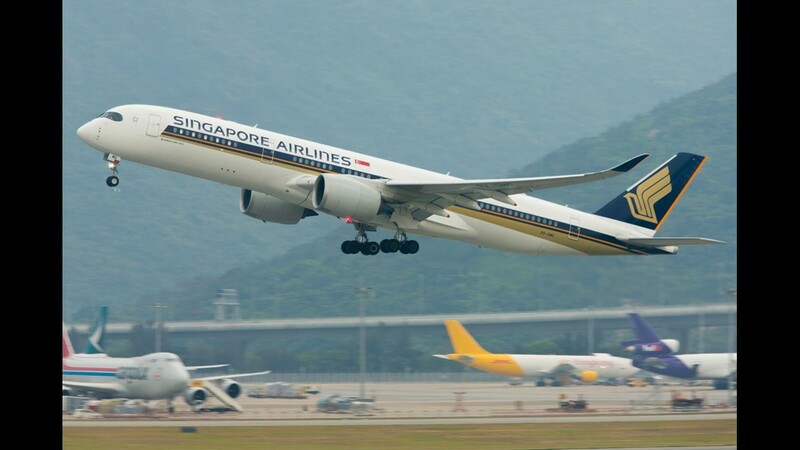 A Singapore Airlines Airbus A350-900 takes off from Hong Kong International Airport on April 18, 2018. 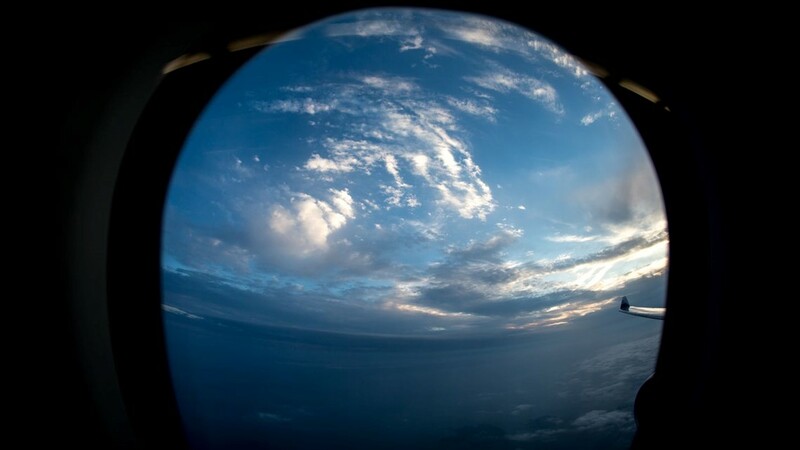 Clouds gather as the sun sets on the South China Sea, seen from aboard a China Airlines A330 en route to Taipei from Hong Kong on April 18, 2018. 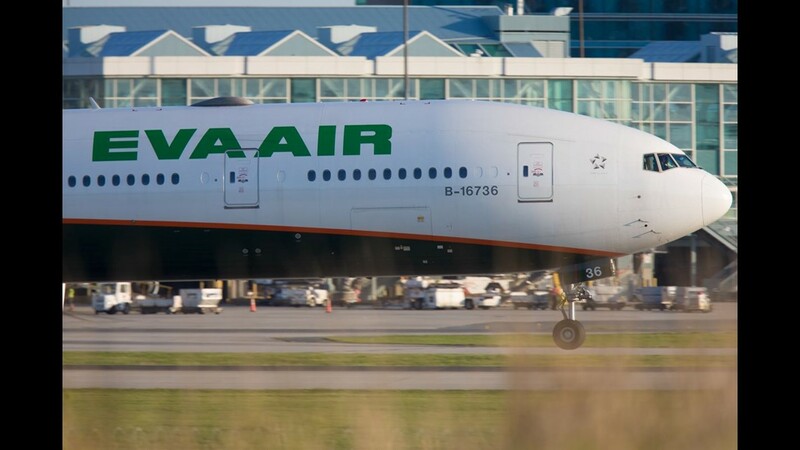 An EVA Air Boeing 777-300 lands at Vancouver International Airport in Canada on May 1, 2018. 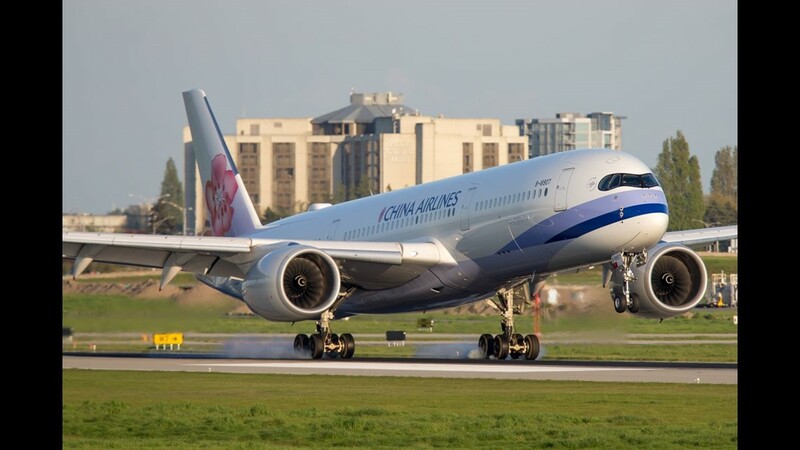 A China Airlines Airbus A350-900 lands at Vancouver International Airport in Canada on May 1, 2018. 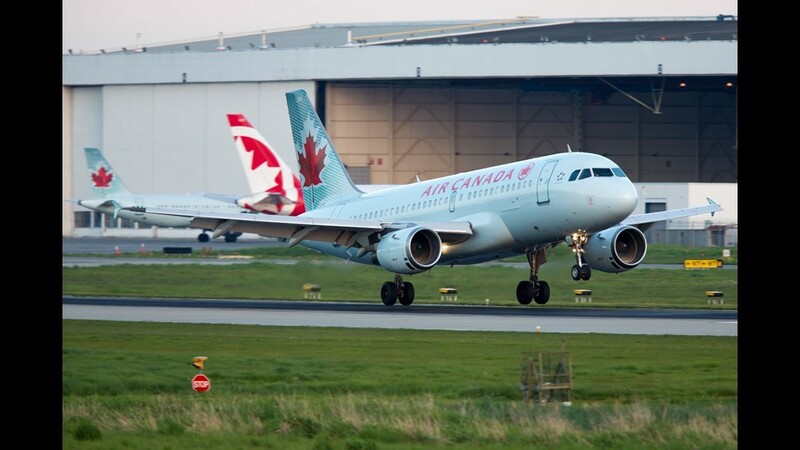 An Air Canada Airbus A319 lands at Vancouver International Airport in Canada on May 1, 2018. An Air Canada Boeing 787 lands at Vancouver International Airport in Canada on May 1, 2018. 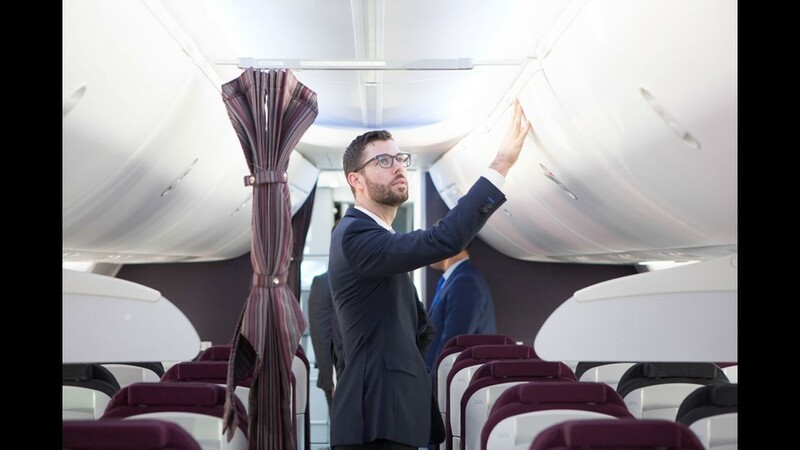 Members of the media and invited guests walk through Air Italy's first Boeing 737 MAX at a delivery ceremony in Everett, Wash., on May 11, 2018. 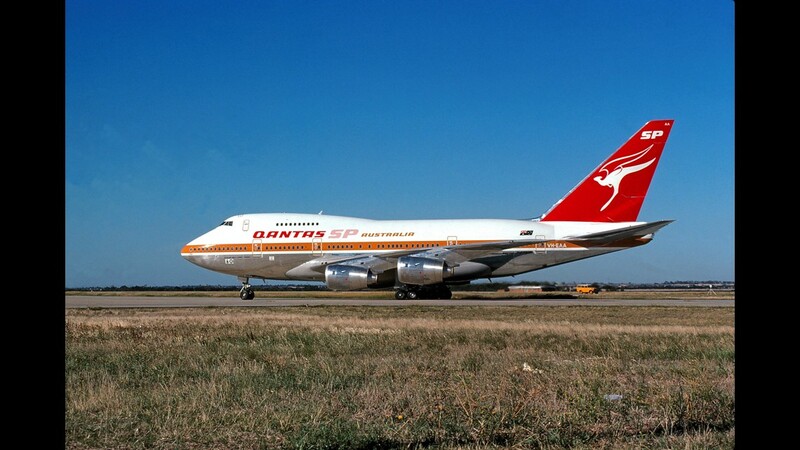 This retro photo from 1981 shows a Qantas Boeing 747SP handout picture provide at Tullamarine Airport. Qantas has announced plans to retire the last of its 747s by 2023. 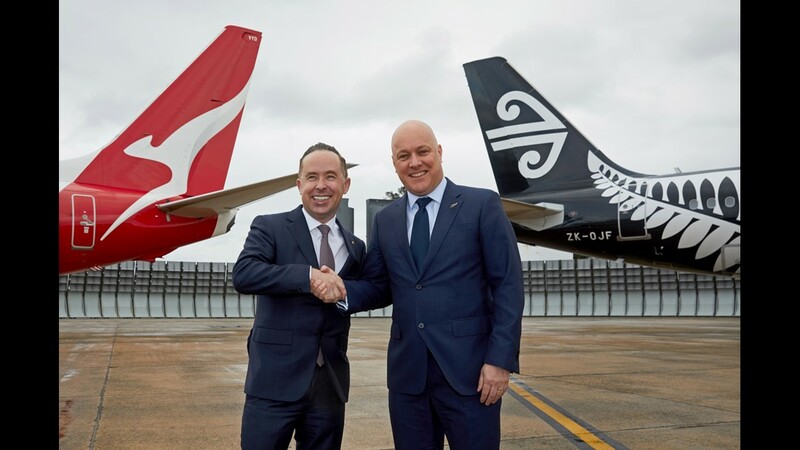 Qantas CEO Alan Joyce (left) and Air New Zealand CEO Christopher Luxon (right) pose for a photo during a Sydney press conference that announced a new partnership between the otherwise fierce rivals. 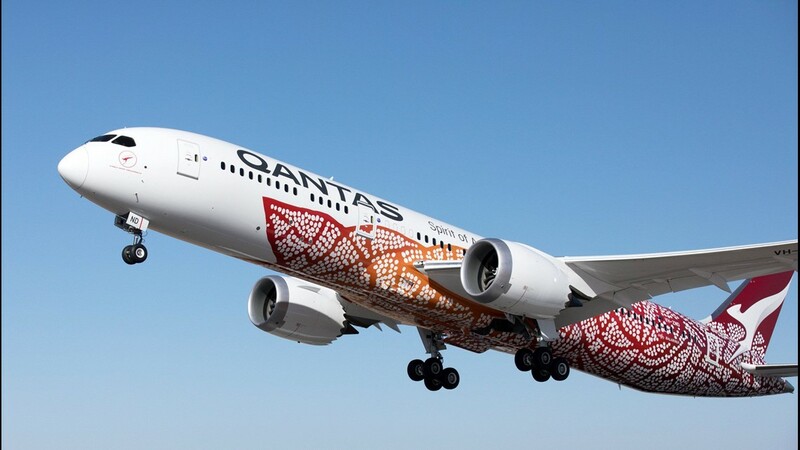 Australian carrier Qantas shows one of its new Boeing 787-9 'Dreamliners' painted in a special livery. 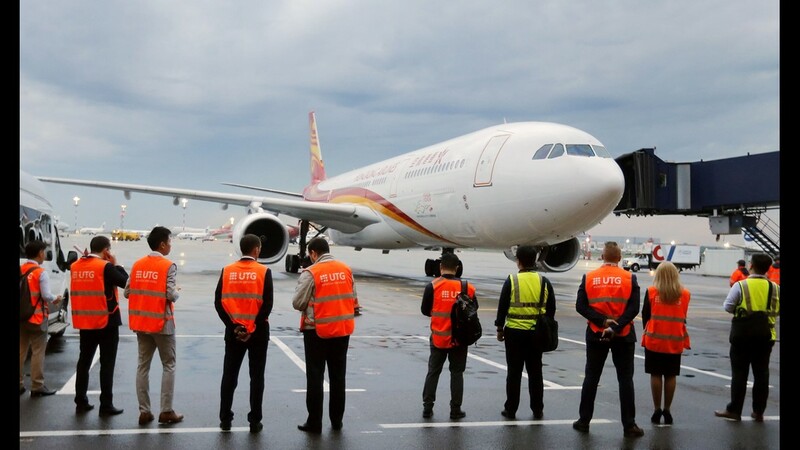 A Hong Kong Airlines Airbus A330-300 is welcomed after the carrier's first flight to Moscow Vnukovo Airport from Hong Kong on May 18, 2018. 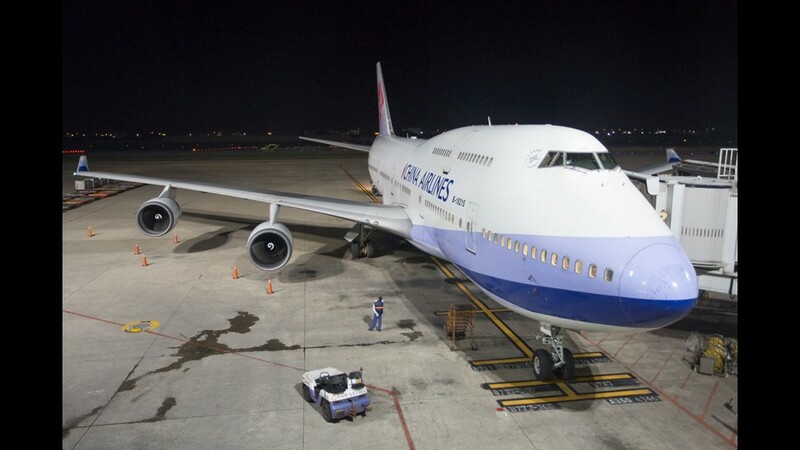 A Delta Air Lines Boeing 747-400 is pushed back for a long flight from Detroit to Tokyo in June of 2015. Co-pilot Dave Peterson, right, adjusts a dial on board the Collings Foundation's World War Two-era B-24 bomber during a flight over Seattle on June 26, 2015. Travelers pass through United's Terminal 1 in Chicago O'Hare Airport on June 27, 2015. 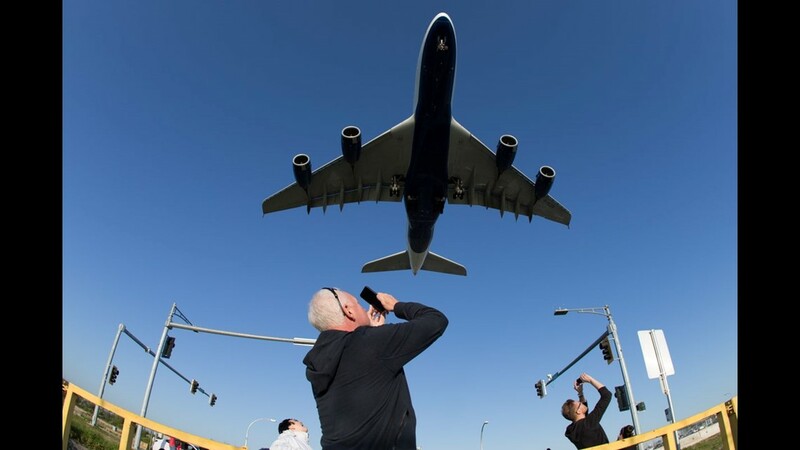 Chad Whalen, right, and his eleven year old son Michael soak in the beauty of a Luftansa Boeing 747-8i landing in Chicago O'Hare on June 27, 2015. A heavy-duty .50 calibur machine gun, no longer active, keeps watch over North Seattle during a flight aboard a 71-year old restored B-24J World War Two-era bomber on June 26, 2015. Old meets new as people snap phoots with their camera-phones on board a 71-year old, World War Two-era B-24 bomber during a flight over Seattle on June 26, 2015. Dwarfed by a large cloud, a China Airlines Cargo Boeing 747-400 navigates toward a landing in Seattle in June, 2015. Two of four radial engines keep the Collings Foundation World War Two-era B-24 heavy bomber aloft over Seattle on June 26, 2015. Col. Ken Wheeler, a 92-year old World War Two veteran and B-17 bomber navigator, pauses to study a .50 heavy machine gun while on a World War Two-era B-24 bomber flight over Seattle, WA on June 26, 2015. A rare sight in 2015, a Boeing 737-200 lands at Boeing Field in Seattle, WA on June 23, 2015. Rubber and asphalt meet and produce a puff of smoke as a DHL Boeing 767 lands at Boeing Field in Seattle, WA on June of 2015. A Boeing company 737 business jet lands in Seattle on June 23, 2015. Filled with cargo, a DHL 757-200 freighter rockets out of Seattle on June 23, 2015. A new baggage belt descends into an underground tunnel in Houston's new Hobby Airport International terminal, still under construction, on June 19, 2015. The soon to be new home of Southwest Airlines in Houston Hobby is seen under construction on June 19, 2015. The ticketing concourse is part of the new international terminal, set to open later this year. An escalator stands ready to shuttle Houston Hobby's soon-to-come international passengers to customs inside the airports new international terminal, still under construction, on June 19, 2015. Sparks kick up as a worker cuts pieces of metal inside Houston Hobby's yet to be opened international terminal on June 19, 2015. A traveler browses art work at an installation inside Houston's Hobby Airport on June 19, 2015. A rare Hawker Hunter fighter jet, built in 1959, lands at Boeing Field in June, 2015. Light clouds with breaks of blue welcome travelers to the secure side of Seattle-Tacoma International Airport on June 18, 2015. Ready for depature, a KLM Boeing 747-400 prepares to taxi to the runway at Houston's George Bush Intercontinental Airport on June 19, 2015. A United Express Embraer 170/75 greases the runway at Houston's George Bush Intercontinental Airport on June 19, 2015. About to end a 16+ hours journey, an Emirates Airbus A380 super-jumbo sails over a Boeing 747-8 as it lands at Houston's George Bush Intercontinental Airport on June 19, 2015. The distinct blue, white, and gold globe of United Airlines repeats itself on a series on company Boeing 737s at Houston's George Bush Intercontinental Airport on June 19, 2015. An interjet Sukhoi Super Jet taxies for departure back to Mexico after a brief visit to Houston's George Bush Intercontinental Airport on June 19, 2015. Boeing's 757 ecoDemonstrator rests in a hangar at Boeing Field in Seattle, WA in early June, prior to a media tour. Banks of computers and test equipment line the interior of Boeing's ecoDemonstrator 757, seen during a media tour in early June. The airplane tests a variety of new technologies on board, including non-stick wing surfaces to reduce bug residue. 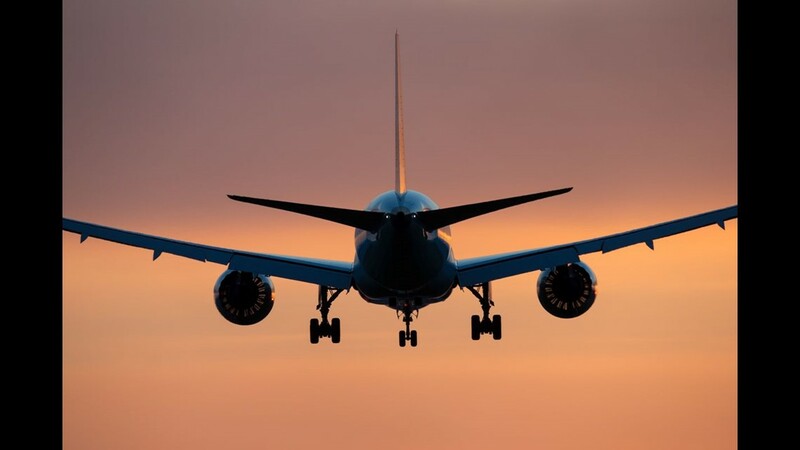 The sun kisses a British Airways Boeing 777-300 as it lands in Chicago O'Hare International Airport on June 27, 2015.